I have a drawer full of half-used, abandoned products and make-up, which makes me shudder a little every time I open it. Some of the products are even unopened. So I made a little pact with myself a few weeks ago to use them all up. I am enjoying the challenge - the feeling of having a clear out always cheers me up no end, and I've also made some great discoveries amongst my hoard. And some disappointments too. I'll keep you informed of how I'm getting on. 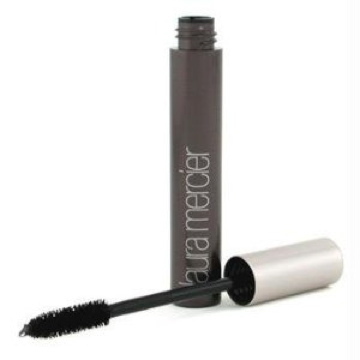 My biggest disappointment so far is Laura Mercier Thickening and Building Mascara. I have never experienced the panda eye effect which is much talked about in beauty circles, until I tried this. Good golly, I looked like I had two black eyes. I knew the time had gone to chuck the mascara out, when my boss said to me "You look tired - did you have a heavy weekend?". Erm, no. I did not. Unless you count my Strictly / X-Factor TV marathon. So I raided the drawer again and found a sample-sized (I love these tiny tubes, perfect for your handbag) mascara from Estee Lauder. This is great - stays on, not a bit of drop or flaking, and comes off very easily with standard eye make-up remover. 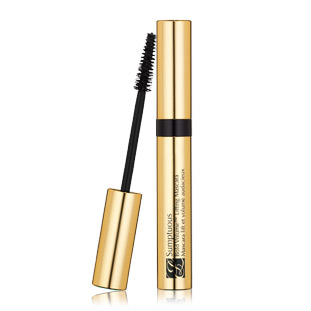 Makes lashes very defined and amplified, with no clumping. Lovely. 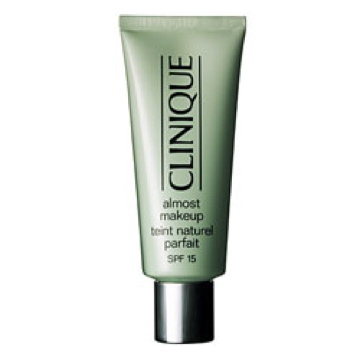 Lastly, I dug out a tube of Clinique Almost Makeup. I remember buying this (I am embarrassed to admit) over four years ago! And it's lasted all this time - everything about it is just like I bought it yesterday. I am loving using this product - I remember ditching it because my skin wasn't good, and it just wasn't enough coverage for me, but with a little concealer, and then a dusting of bronzer, this is perfect for me. 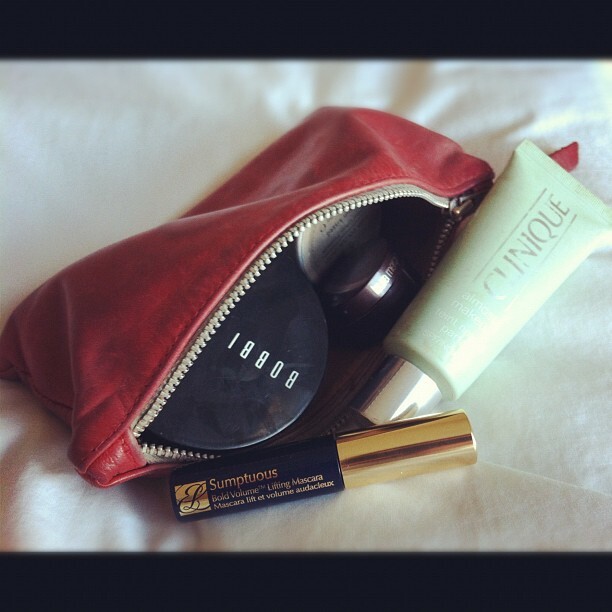 It's SPF 15 and also contains antioxidant. The shade I use is 01 Fair. However, I have just learned that Clinique have discontinued it! Just as my love for it had been rekindled. Oh, the tragedy. The general public are so devastated that there is a Facebook campaign to bring it back - come on people, let's get behind this! And that got me thinking, about what it was that has made such a difference lately to my skin, which has meant that I'm happy with wearing such a light coverage. As well as dreaded spots, flaky skin and large pores, I also get really bad pigmentation on one cheek in the summer, which never completely fades. Although having said that, on inspection today, I can't see it at all. My pigmentation could get so noticeable, that friends and colleagues used to try and wipe it off my face, thinking it was a huge splodge of foundation or concealer! I bought this Estee Lauder Idealist Skin Refinisher after reading up a lot about the product and I do think it's made a real difference to the quality of my skin. Thinking about it, since using this, my pigmentation has faded little by little - yes, I know this would happen anyway in winter, but the extent to which it has disappeared is the best it's ever been. 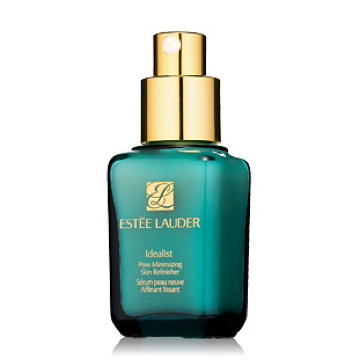 Every now and then, Estee Lauder do a 75ml version, which is by far the best value, around £58 - I found it at Boots. Expensive, but it lasts ever such a long time.